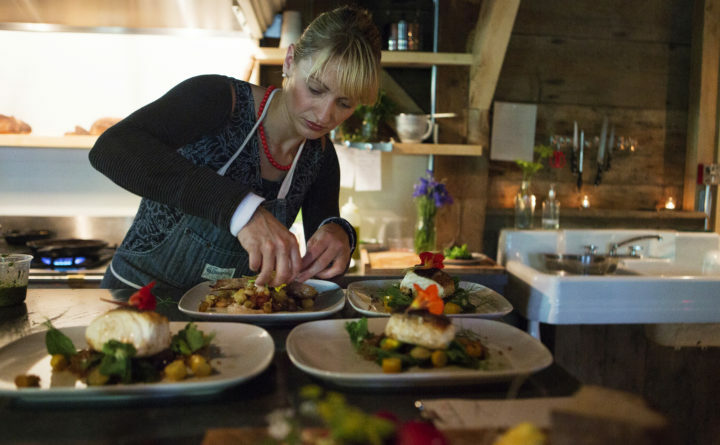 Chef and owner Erin French prepares food at The Lost Kitchen in Freedom, Maine. Ten Maine chefs, restaurants and breweries were named 2019 James Beard Award semifinalists Wednesday. They include four perennial Portland nominees, four chefs who were also nominated in 2018, and one newcomer to the exclusive list. The Beard awards, known in the restaurant industry as the “Oscars of the food world,” honor chefs, restaurants, bakeries and breweries across the U.S. There are both national and regional awards. Semi-finalists are announced in late February, and finalists for each category are announced in late March. Winners are revealed in a ceremony held in New York City in May. Fore Street in Portland opened in 1996 and has been nominated for Outstanding Restaurant on numerous occasions. Chef Sam Hayward won Best Chef Northeast in 2004. Alison Pray of Standard Baking Co. in Portland has been nominated for Outstanding Baker multiple times, and last year was a national finalist for the award. Back Bay Grill in Portland was previously nominated in the service category in 2018. Rob Tod, owner of Allagash Brewing Company in Portland, has been nominated in the beer, wine and spirits category multiple times over the years, including most recently in 2017. Six Maine chefs have been nominated for Best Chef Northeast this year, including two newcomers: Chad Conley and Greg Mitchell of the Palace Diner in Biddeford. Other nominees include Erin French of the wildly popular Waldo County restaurant The Lost Kitchen; Keiko Suzuki Steinberger of Suzuki’s Sushi Bar in Rockland; Krista Kern Desjarlais of The Purple House in North Yarmouth; and Vien Dobui of Cong Tu Bot in Portland.